Sarah Addison Allen’s books are really comfort reads. 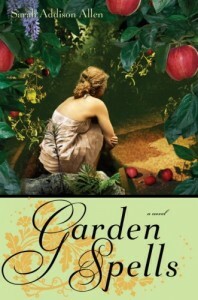 :) I’ve read and loved all of her books but Garden Spells is still my favorite. If you’re curious about the recipes in the book, I believe SAA has some of them in her website. Her books have made me more curious about magic realism. Oh, thanks for the review! I’ve had a copy of Garden Spells for a few months now. Looks like I really need to read it soon.